The key source for Nazi Propaganda for the Arab World are transcriptions of German and Italian radio broadcasts made by experts at the American Embassy in Cairo. Between September 1941 and March 1945, the embassy sent the State Department weekly reports on “Axis Broadcasts in Arabic.” After the war, these transcripts, totaling thousands of pages, ended up the National Archives, and Herf is the first historian to consult them extensively. In addition to showing just what these broadcasts said, Herf puts them into historical context, showing how the German message evolved in response to wartime events. 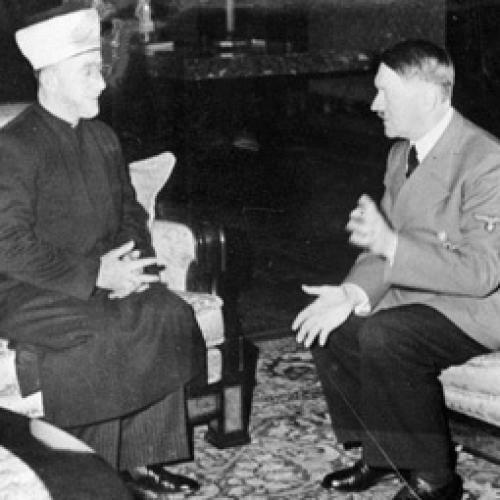 As the author of a definitive study of the Nazis’ domestic propaganda, Herf is also able to show how the Nazi message was specifically tailored for Arab and Muslim listeners.